A stunning centerpiece for your Easter gathering or any springtime Sunday brunch, the Easter Bouquet is a beautiful blend of vibrant hues and timeless tradition. 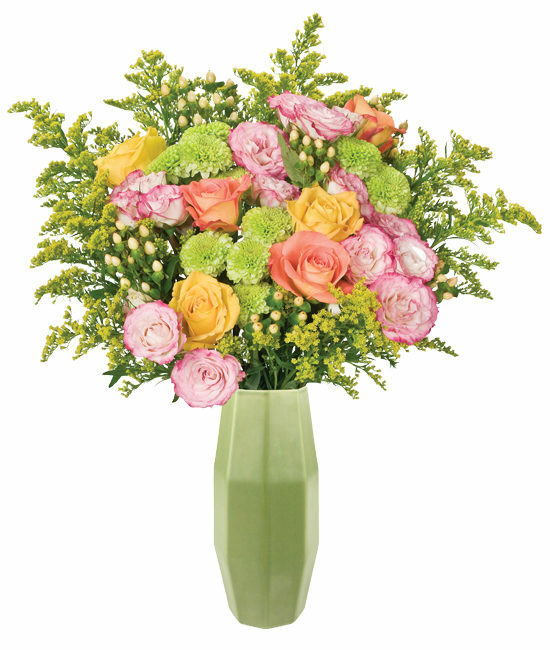 A bright bouquet of orange and yellow roses, peachy hypericum berries, fresh green button mums and stunning two-toned pink spray roses mixed with feathery yellow solidago overflows from our charming multi-faceted pastel green vase – perfect for any springtime occasion. 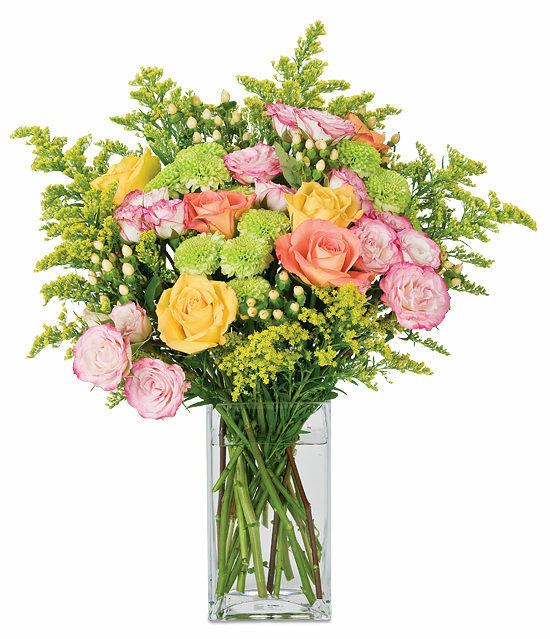 • Also available in our signature glass vase.